The WA Craft and Wood Show was on at the Claremont Showgrounds today. The very helpful ladies at the Janome Sewing Centre in Balcatta where I bought my machine mentioned it so we thought we would check it out. The lovely husband was happy to accompany because the wood show meant that there would be power tools there – and he is very supportive of me anyway! The show was not very big. I think once I have more experience and interest in quilting and other such things it may appeal to me a little more. I guess I was hoping to find more things for beginners but maybe I was just overwhelmed with the choice? I did come across one stall that I really loved. It is an online business called Sew Creative Supplies. 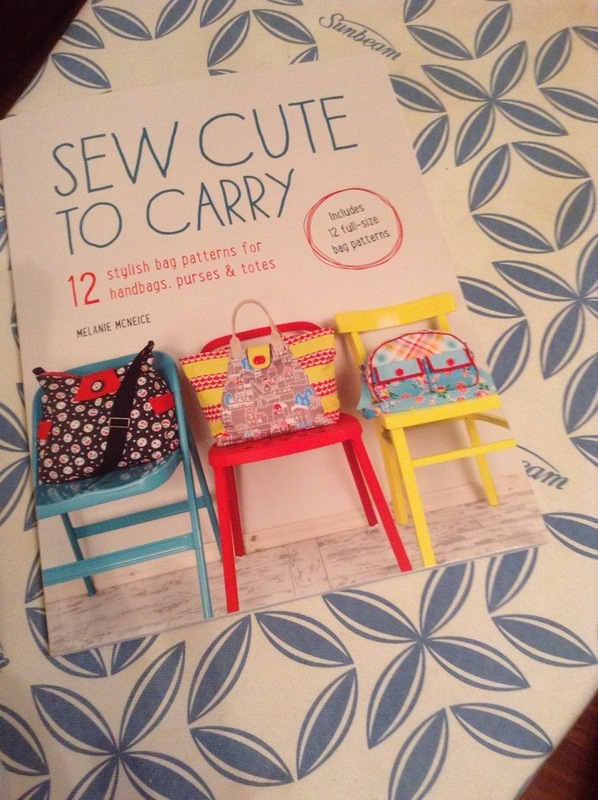 I bought this book of bag patterns which I am excited to get stuck into but I will need a few supplies before I can get started – thankfully the Spotlight sale is still on tomorrow! The girls at the stall also pointed me towards Boo Designs for some clothes patterns for baby girl. They had some samples made up and they looked so pretty. The girls assured me that many of them would suit a beginner so I’ll be giving some of these a try for sure! Now – hubby is out for the night, baby girl is in bed and a promised to make my husband a bow tie out of real fabric so see you next time.